When it comes to independent playtime for little kids, forts take the cake. They can be used for a quiet reading nook, a spot for an afternoon nap, shade from the hot sun or simply a place where imagination is allowed to grow. 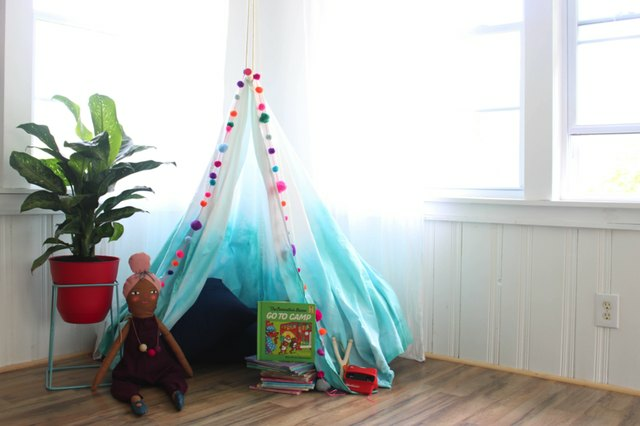 And for parents, the process of making a canopy can be just as flexible: You can use a variety of fabrics and embellishments, and when it's complete, you can also choose where to place it in your home. 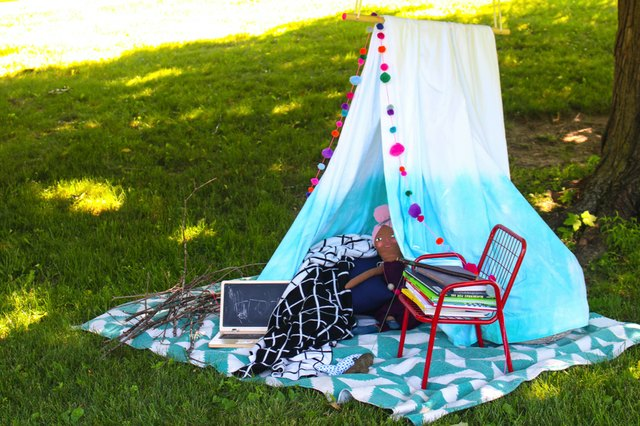 This fabric canopy is easy, affordable and a fun way to turn any corner into a magical hideaway! Bed sheets are an easy material to use to create a canopy without having to worry about sewing. 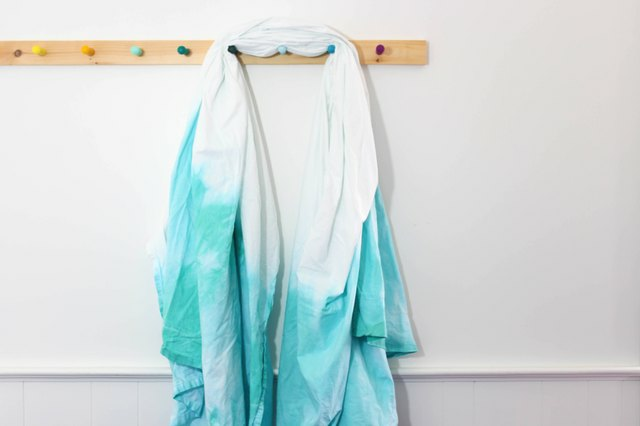 This project uses a white king-size sheet that has been dip-dyed turquoise. Another fun option would be to find a vintage sheet at a thrift store or flea market for a unique look. 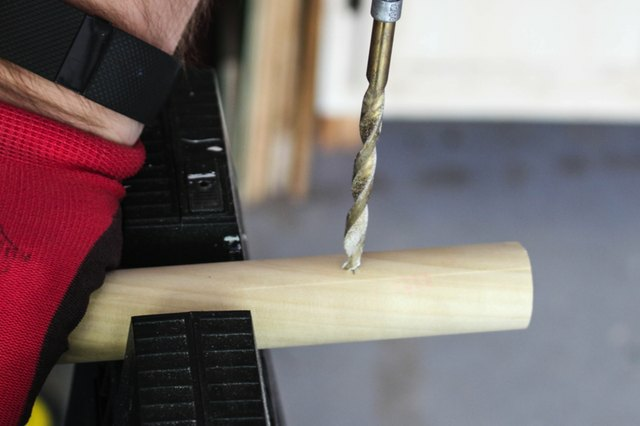 Using a drill and a 1/4-inch drill bit, create a hole two inches from the end of the dowel. Repeat on the opposite end. 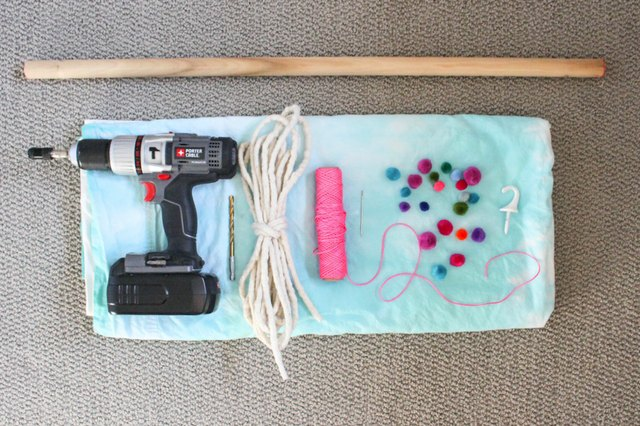 Cut the rope in half and insert it through the holes in the dowel before tying the ends with a slip knot. Next, install ceiling hooks where you want the canopy to hang. 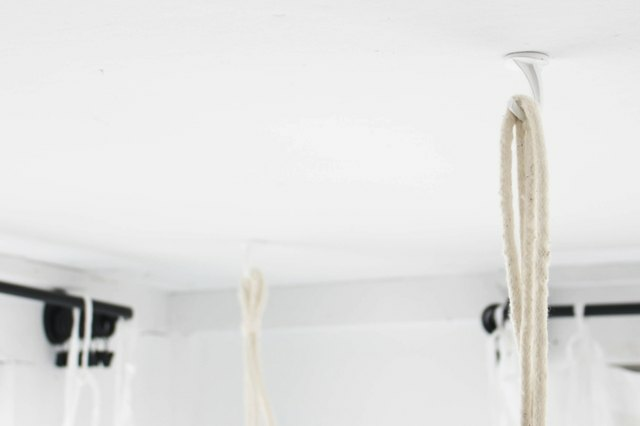 Hang the dowel by attaching each end of the rope to the ceiling hook. Using a sewing needle, string several pom-poms onto a thread to create a little extra decoration. Then, drape the sheet over the dowel. Alternatively, you could also tie the rope to a branch on a tree and create an outside oasis for a special afternoon. Just be sure to fill the space with pillows, toys and blankets for an inviting and cozy spot to create, imagine and play!